Copernicus is also visible using binoculars, and is located slightly northwest of the center of the Moon's Earth-facing hemisphere. 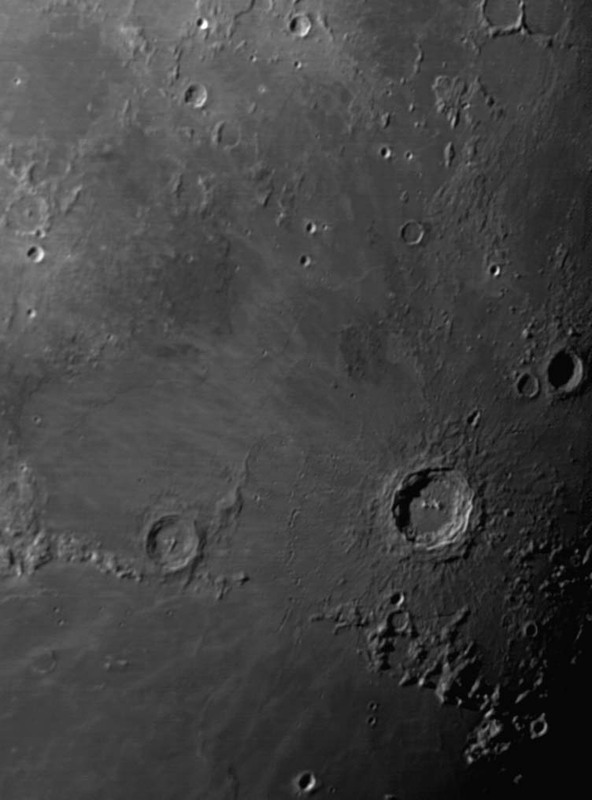 South of the crater is the Mare Insularum, and to the south-south west is the crater Reinhold. Due to its relative youth, the crater has remained in a relatively pristine shape since it formed.